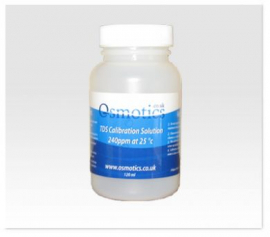 TDS Calibration Solution, suitable for calibrating all TDS meters. NaCl calibration solution, 240 ppm. Stored in a lightweight HDPE plastic bottle. Capped with a coated foam liner.